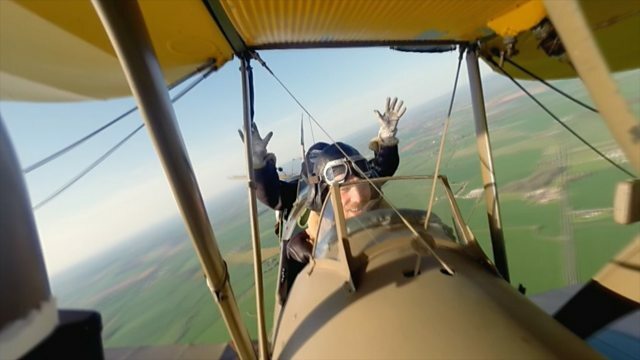 BBC One - Don't Tell the Bride, Sacha & Jason, Up, up and away! Jason tests a Tiger Moth fighter plane that he has booked. He is particularly looking forward to the 'wobbly' that Sacha is going to throw when she sees it. How romantic!